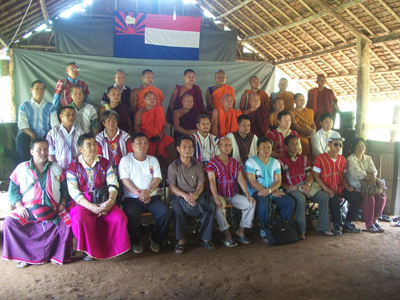 Representatives of the five groups met on May 28 in Pa-an District to discuss how they could work peacefully together. Karen religious leaders organized the meeting. Attending the meeting were representatives from the Karen National Union (KNU), Karen Peace Force (KPF), KNLA/KNU Peace Council, the Democratic Karen Buddhist Army’s Klo Htoo Baw and the Karen Border Guard Force. Reverend Robert Htwe, one of the meetings organizers, told Karen News. Reverend Robert Htwe said if the armed groups see a positive result from working together, the future for all Karen would be better. Four of the five, armed Karen groups have each reached individual ceasefire agreements with the Burma government – the Border Guard Force group is under the direct control of the Burma Army.